Joss Whedon‘s Avengers: Age of Ultron came on tracking huge Thursday, pacing ahead of Avengers in nearly all categories. That suggests the sequel, opening May 1, will eclipse the $207.4 million debut of Avengers in May 2012 to score the top North American opening of all time. 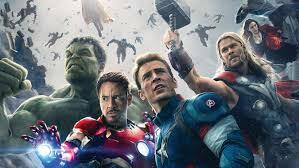 Even if it hits $200 million, the movie will be a huge victory for Marvel Studios and Disney. The major tracking services are officially saying $190 million-$200 million, but those with access to tracking say Age of Ultron is drawing stronger scores that the first film in every category except unaided awareness (other categories include first choice and definite interest). Online ticketing service Fandango reports that advance ticket sales are significantly ahead ofAvengers at the same point in time. The ensemble cast returns Robert Downey Jr. as Iron Man, Chris Hemsworth as Thor, Chris Evans as Captain America, Scarlett Johansson as Black Widow and Mark Ruffalo as The Hulk.